Retrieval of episodic memories tend to be an “on the fly” reconstruction of memory traces that approximate the original memory formation. “Flashbulb memories” are distinctly vivid, long-lasting episodic memories with a strong emotional component — where you were on 9/11/2001 (or other personally important date) is an example of a flashbulb memory. 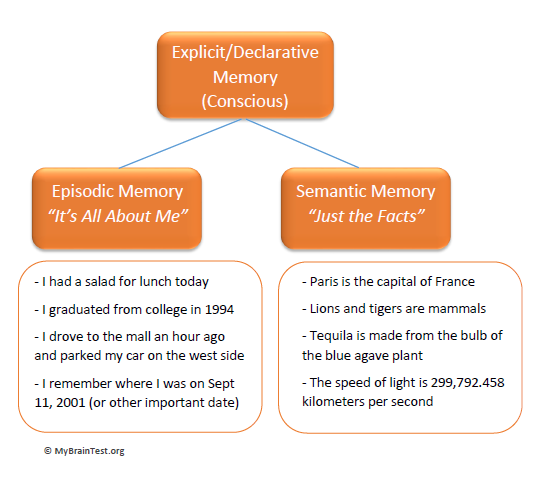 When people become concerned about “short term memory loss”, they are typically referring to real or perceived impairments in the ability to form new episodic and semantic memories, or recall fairly recent episodic or semantic memories.